Reuters: Saudi Aramco, the world's biggest oil producer, plans to invest $40 billion a year over the next decade to keep oil production capacity steady and double gas production, Chief Executive Khalid Al-Falih said on Monday. State-owned Aramco sees more capital going into offshore projects and expects rising costs across the oil sector to underpin oil prices, Al-Falih told a conference. Oil prices fell to a 14-month low of $101.07 last week as global demand growth weakens, even as production ramp ups in several places create a glut of oil. "To meet forecast demand growth and offset (global output)decline, our industry will need to add close to 40 million barrels per day of new capacity in the next two decades," Al-Falih said. "Although our investments will span the value chain, the bulk will be in upstream, and increasingly from offshore, with the aim of maintaining our maximum sustained oil production capacity at twelve million barrels per day, while also doubling our gas production." Al-Falih said that the Organization of the Petroleum Exporting Countries or the International Energy Agency should not try to control oil prices but fundamental problems within the industry, like rising costs, increasing technical challenges and the falling size of finds would support the price. "I share ... the belief that this is a market driven business, it's not OPEC, the IEA, and consumers that should be in the business of trying to control the market," Al-Falih said. "OPEC will take the price as it comes." "To tap these increasingly expensive oil resources, oil prices will need to be healthy enough to attract needed investments ... (and) long-term prices will be underpinned by more expensive marginal barrels." KBR had recently announced today that it has received a letter of award from Hyundai Heavy Industries Co. Limited to perform engineering design services for the Abu Dhabi Marine Operating Company Al-Nasr Full Field Development project, located offshore Abu Dhabi. Under the terms of the contract, KBR will provide engineering design and support services for the entire Al-Nasr Package 2 scope with the services provided by KBR’s office in Singapore and supported by other KBR offices. The KBR Singapore office has more than 40 years of experience in providing engineering services for the offshore oil and gas industry worldwide. The Al-Nasr Package 2 facilities consist of a multi-platform super complex that includes central processing facilities, accommodation, utilities, flares, bridges and power distribution. The Al-Nasr offshore oil field is located approximately 80 miles northwest of Abu Dhabi in the Arabian Gulf. When completed, the super complex will produce an annual average production of 65,000 barrels of crude oil per day. ADMA-OPCO's other stakeholders in the Al-Nasr project are BP, Total and Japan Oil Development Company. Expected revenue from the contract will be included in the third quarter 2014 backlog of unfilled orders for the Hydrocarbons segment. The contract value was not disclosed. The recent start-up of the CLOV FPSO (Floating Production, Storage and Offloading) vessel in Angola’s Block 17 offshore oilfield has been marked with a letter of appreciation to Rotork from the leading Korean engineering company DSME (Daewoo Shipping and Marine Engineering). DSME performed the design and construction of the CLOV FPSO on behalf of Total E & P Angola, with much of the work carried out in Angola as a part of Total’s commitment to increase local content in its projects. Since 2011, Rotork Fluid Systems has supplied more than 400 heavy duty CP and GP Range pneumatic valve actuators on the project. Rotork’s professional performance throughout the duration of the contract and contribution to the timely start-up has been recognised with the letter of appreciation. A total of 34 subsea wells will be tied back to the CLOV FPSO, which has a processing capacity of 160,000 barrels of oil a day and a storage capacity of nearly 2 million barrels. The Rotork actuators are installed in many areas of the vessel’s processing plant, including those parts designed to limit environmental impact by eliminating flaring under normal operating conditions, recovering heat from turbine exhaust and recovering vent gases. The CLOV FPSO is one of a number of Rotork Fluid Systems contract successes in Angola’s offshore oil industry. These include over 500 pneumatic actuators which were supplied for the Pazflor FPSO in Block 17, following similar orders for the Kizomba A & B FPSOs in Block 15. Rotork pneumatic and electro-hydraulic valve actuators are also used on Angola’s onshore LNG pipeline network, delivering gas from offshore to the processing plant at Soyo. Foster Wheeler AG (Nasdaq:FWLT) announced today that a subsidiary of its Global Engineering and Construction Group, in joint venture with Taknia Libya Engineering Company (Taknia), has been awarded a front-end engineering design (FEED) contract by Nafusah Oil Operations B.V. Libyan Branch for an onshore oilfield development, known as the Area 47 Development Project in Libya. Area 47 (North Hamada Field) is located in the Hamada region, approximately 200 km south of Tripoli, in the Ghadames Basin. The Foster Wheeler contract value was not disclosed and will be included in the company’s second-quarter 2014 bookings. The planned development will consist of approximately 34 producing wells, including eleven existing wells and approximately 23 new wells, flow-lines and a common gathering trunk-line to transport the well fluids to the central gas oil separation facility for primary treatment. After separation, the oil and gas produced will be exported through new pipelines that will be connected into existing pipelines carrying products to the Mellitah delivery terminal, in the northwest of Libya, on the Mediterranean Sea, for export. The planned design capacity of the gas oil separation facility is 50,000 barrels per day (BPD) of oil, 90 million standard cubic feet per day of gas and associated water (to be re-injected into the reservoirs). Nafusah Oil Operations was formed as a joint operating company by PT Medco Energi Internasional, through its subsidiary Medco International Ventures Limited (MedcoEnergi), of Indonesia, with its partners, the National Oil Corporation of Libya and the Libyan Investment Authority. Nafusah Oil Operating Company will act as the operator for the development and production phases of Area 47. Honeywell Process Solutions announced today that it will supply a new integrated control and safety system for Qatar Fuel Additives Company’s (QAFAC) Mesaieed Industrial City plant, 50 kilometers south of Doha. The upgrade will help the plant reduce operating costs and improve efficiencies as it increases production of methanol and MTBE (methyl tertiary butyl ether), a key gasoline additive that reduces tailpipe emissions. 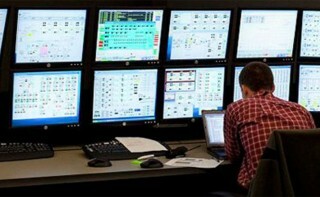 Honeywell’s integrated control and safety solution, including a new fire and gas system, will improve automation at the plant, increase cyber security, and enhance operator effectiveness. QAFAC will also benefit from ongoing long-term services through Honeywell’s lifecycle support. QAFAC, a joint venture between state-backed Industries Qatar, OPIC Middle East, LCY and IOL, plans to become one of the top five international producers of methanol and butane derivatives by 2020. It is also planning to commission an $80 million carbon dioxide recovery project this year to capture 500 tons of CO2 a day for re-injection into the production cycle. When added to gasoline, MTBE enhances octane levels to reduce engine knocking. It also helps the gasoline burn more completely, which reduces tailpipe emissions and helps to meet Euro 5 standards. QAFAC produces MTBE using process technology licensed from UOP, a Honeywell company that is a leading developer of technology, catalysts, adsorbents, equipment, and consulting services to the petroleum refining, petrochemical, and gas processing industries. “This project will help us meet growing demand for methanol, MTBE and clean fuels efficiently, while achieving the highest levels of safety and environmental performance at our site,” said Nasser Al Kuwari, QAFAC general manager. The solution includes Honeywell’s Experion® PKS distributed control system, Honeywell’s Safety Manager, and its XLS fire detection systems. “Honeywell’s technology offers a truly integrated control and safety system that will improve operational effectiveness, as well as provide cost-saving features and applications for improved process performance,” said Mansour Al Belhadj, Middle East sales director for Honeywell Process Solutions. Work under the multimillion dollar contract has already begun and is due for completion in 2014.